Jewish Humor Central: Throwback Thursday Comedy Special: Sid Caesar and Imogene Coca in "Breaking the News"
Throwback Thursday Comedy Special: Sid Caesar and Imogene Coca in "Breaking the News"
It's Throwback Thursday again and today we get another chance to go back 67 years to 1951 and another episode of The Hickenloopers on Your Show of Shows. Sid Caesar and Imogene Coca starred in many episodes of the hilarious marital tribulations of Doris and Charlie Hickenlooper. 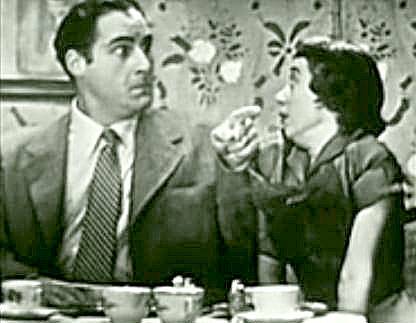 In this sketch, Mrs. Hickenlooper (Imogene Coca) tries to gently break the news about an auto accident she had to her husband (Sid Caesar).